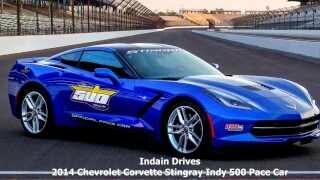 Chevrolet has officially announced that the all-new 2014 Chevrolet Corvette Stingray will be the official Indianapolis 500 Pace Car on Sunday, May 26, 2013, marking the Corvette’s 12th time of taking up the duty as the official Indianapolis 500 Pace Car. 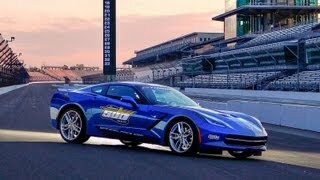 Decked out in Laguna Blue Tintcoat with official Indianapolis 500 graphics on the doors, the Corvette Stingray Pace Car differs from production models with only track-mandated safety features and strobe lights. No powertrain upgrades are required to its all-new 6.2L LT1 engine, which features advanced technologies including direct fuel injection, continuously variable valve timing and Active Fuel Management (cylinder deactivation). 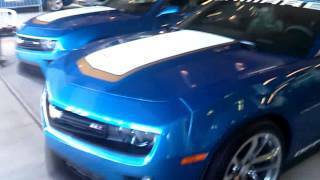 They help produce an estimated 450 horsepower more efficiently. 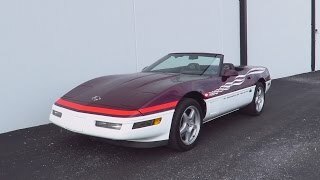 The Corvette Pace Car features the track-capable Z51 package.